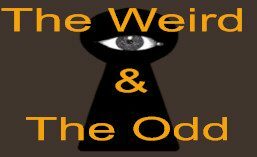 folklore, myths, and other weird oddities. What is so Weird & Odd about January? Getting a lump of coal for Christmas? The origins of Halloween can be traced all the way back to the Celts (800-450 BC). Samhain (pronounced Sow-in or Sah- win) means “Summer’s end” and to the Celts, November the 1st was considered to be the New Year. What’s amazing is that a few of the customs that our pagan ancestors celebrated during Samhain have been maintained and have transcended through time to what is currently now known as Halloween. There have been a lot of adaptations added from other cultures all throughout the time span that has molded this unique day that pays homage to the dead. A fire festival, that was used by the Celts to encourage the sun to stay up as long as possible, that would start to take place on what is now known as October 31st and considered to be the last day of the year. It was believed that on this day the veil between the living and the dead vanishes and the spirits of the dead become visible to the eyes of the living. It was a common believe of this time period that the spirits would roam the earth looking for a body to posses, so the Celts would dress in costumes, mainly wearing animal heads and skins, and dance around bonfires to entertain the spirits and hopefully dupe them to prevent possessions of their bodies from malevolent spirits. They would leave their front doors open to their lost loved ones. The original Jack-ó-lanterns, made out of large turnips, beets, or potatoes, were placed on window ledges to scare off evil spirits. November 1st, was the day that represented the end of summer, end of harvest, and the beginning of the dark cold winter. Which is typically the time that is associated with death in many other cultures as well. Around 43 AD, the Romans were able to expand the territory that claim the majority of Celtic land and for 400 years influenced the former Celtic people with two Roman festivals known as Feralia; a day to honor the passing of the dead, and a day to honor Pomona, the goddess of fruits and trees. The “bobbing for apples” game that is frequently played at Halloween kid parties is suspected to have have originated from the Romans because the apple served as a symbol for Pomona. In 601 AD, Pope Gregory issued an order to his missionaries regarding concerns of converting the Celts. The Roman Catholic church learned from experience that when dealing with pagans, instead of condemning them for their ideologies you used their beliefs and redirected them to be about Christ and allow them to continue their customs. Pope Gregory IV had planned on turning Samhain into All Saints day in 835, but All Souls Day was established in 998 in a French monastery and spread quickly throughout Europe. The celtic pagan rituals and beliefs were converted into worshiping martyrs and saints. The Aztecs festival of the dead was originally a two-month celebration that also fell into the Fall season and was tied into celebrating the harvest season. The festival was to pay homage to Mictecacíhuatl, the Goddess of the Dead and the Underworld also known as Mictlán. Mictlán was not considered to be a dark or scary place, it was actually viewed to be a peaceful realm where souls resided and waited for the days of visiting the living. After the European invasion of the Americas, the Catholic monasteries employed the same tactic used with the Celts. All Souls day was instituted into the daily lives of the natives and All Souls day and the native Aztec beliefs merged and formed what is now considered los Días de los Muertos (The Days of the Dead) which is celebrated on November 1st and 2nd. Various Halloween traditions that are celebrated in the U.S. were influenced by European immigrants, mainly during the second half of the19th century. By combining Irish and English traditions, the trick-or-treat tradition began in the U.S. In the 1950’s, community leaders decided to make the holiday more directed towards the youth to minimize vandalism. Donations are greatly appreciated! Thank you for your support.